The DX is showing all four cores? Yes, I'm at it again. This is another one of RedneckDude's DX Theme and skins the he is putting the finishing touches to, called Dark Poison. Okay, lets see who has the good eyes, there is something shown in the screenshot that actually can't currently be done. Can you find it? ALT-TAB with only one entry. Quoting Philly0381, reply 10Yes, I'm at it again. This is another one of RedneckDude's DX Theme and skins the he is putting the finishing touches to, called Dark Poison. Not sure what you mean by that moshi? I think he's referring to the task switcher/flip that Uvah suggested in reply #11.
ernie that is unbelievable, almost hard to believe they are the same before and after photo. My Desktop - Needless to say, I'm excited for the upcoming game! That is totally freakin' awesome, JC! Your screenies never fail to impress. DX will show 8, if you have 'em. Plas Fan at it's best JC... great screenie.... link to wall....? 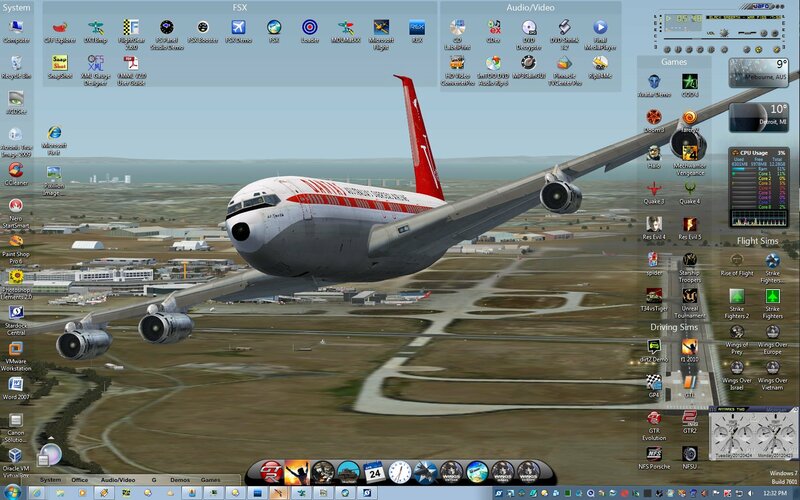 You always are able to come up with interesting desktops sydneysiders.